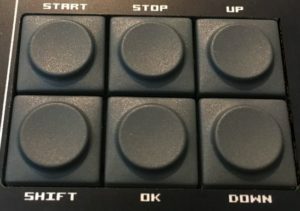 I’m happy to announce the new firmware release of the NerdSEQ as well as the release of the first Expander which brings the NerdSEQ to the next level. – new pattern screen for 4 note polyphonic (+ Velocity) sequencing per track. – Midi notes can be played (cloned) on the local modular tracks (CV & Gate) if wanted. – Added: NSA (Nerd Sound Adapter) Expander support. Beside the Midi expander 4 additional expanders can be connected which are then integrated in the sequencer. – Expanders can be assigned to one or multiple tracks. – Firmware updates of the expanders simply possible via the NerdSEQ. So new features are also possible for the expanders. As reliable as NerdSEQ firmware updating. – Added Trigger 16 screens and sequencing + integration with all FX and Automators. – Added Track Setup screen for all track types where Track specific settings can be done. – Added: General Track Assign screen where tracks can be assigned to either Internal CV/Gate, Midi or to the available expanders. – Added: SHIFT+DELETE on a Note column acts now as either ‘Delete Note’ or as ‘Insert Note Off’, no browsing down to lowest note needed anymore. – Added: Copy paste between compatible pattern columns. Copy and paste can be from all notes to all notes, triggers to triggers, grooves to grooves from different pattern types. Content can now also be copied between the 2 sample parts. – Added: Per track multiplier / divider. Dividers and Multipliers can be either live assigned to a track or via FX command. Also the new expander ‘More Triggers 16’ is now finally avaliable!! Beside 16 more Trigger/Gate outputs, many functions have been added to the NerdSEQ. The new firmware and the updated manual are available on the NerdSEQ page or on the Forum. The ‘More Triggers 16’ Expander is available in the XOR Webshop. https://xor-electronics.com/wp-content/uploads/2017/08/xor-logo-brown-beige-300x87.png 0 0 Admin https://xor-electronics.com/wp-content/uploads/2017/08/xor-logo-brown-beige-300x87.png Admin2019-04-15 12:55:312019-04-15 12:59:21Massive NerdSEQ update! Trigger 16 Expander about to be released! https://xor-electronics.com/wp-content/uploads/2017/08/xor-logo-brown-beige-300x87.png 0 0 Admin https://xor-electronics.com/wp-content/uploads/2017/08/xor-logo-brown-beige-300x87.png Admin2019-04-05 16:04:492019-04-05 16:05:35Trigger 16 Expander about to be released! Around black friday ( 22 – 24 November ) we put a limited amount of the NerdSEQ bundles on Sale together with free shipping on all orders. Additionally we provide free shipping for orders higher than Euro 199 from now on! Added ‘All Sounds Off’ Midi Message, releases all Notes. Added: Autoload function in the setup menu. Set the last saved project to autoload on startup. Fix: In the sequencer screen if the global transpose plus the playing note is higher than the highest note (and lower than the lowest) which can lead to a glitch or to a crash worst case. You can download the firmware as usual on the NerdSEQ page here or on the Forum.